While universal primary and secondary education is legally mandated in India, the multiple barriers of poverty, caste discrimination and government neglect, prevent youth in poor rural areas from accessing quality schooling. Marginalized youth from tribal backgrounds often have their schooling interrupted because their families must migrate for work. Young rural women (especially those of tribal background) face the most barriers to obtaining education. 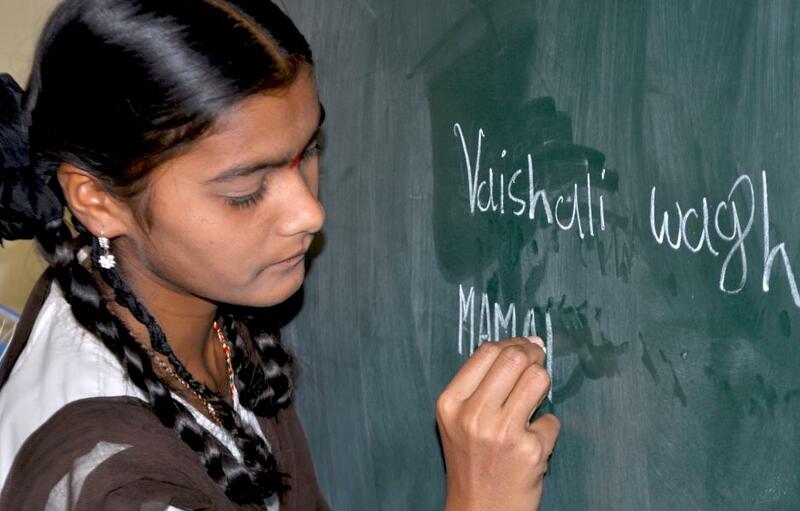 Only 3% of tribal women are literate. For this purpose, Vidhayak Sansad has been working since 1979, with the most vulnerable sectors—bonded labourers, tribal communities, Dalits (formerly known as the ‘untouchable’ caste), and rural women and children—to secure their basic rights. Founded in 1979, Vidhayak Sansad works with vulnerable sectors to secure their basic rights. Initially established for, and having been successful at, securing the freedom of bonded laborers, since 1995 it has focused on education. While its main efforts are focused in the Thane District, some of its programs, have since been adopted state-wide. Because of its long history of organizing at the grassroots village level, it has a broad base of local support, which is a powerful force to hold local and state governments accountable in their obligations towards children and young people’s basic education. Vidhayak Sansad focuses on barriers to children obtaining quality education on the supply-side (e.g. government failure to provide quality instruction) as well as on the demand side (lack of family funding for children’s schooling). They have a residential school for tribal girls, a women’s empowerment wing called “Women Spark”, a children’s organisation (Balsangathna) which campaigns (with parents, schools, local governments) for children’s right to education. EMpower’s 7th and final grant to Vidhayak Sansad will have 2 major focus areas for this grant period: fundraising for the organization and extending their current program for the young people that they have historically worked with. EMpower will help Vidhayak Sansad strengthen its fundraising objectives and outreach so their programs, that have historically been supported by EMpower.